The Second Edition Scratch LIVE colored vinyls are differentfrom the first edition (CV01) in two ways. Firstly, the records aremastered on much better equipment than the original, and donot suffer from any noticeable pitch variation (0.0026% max). Secondly, the absolute positioning signal (APS) used in these special edition colored vinyls differ from the CV01 enabling the software to distinguish which version of the vinyl is being used, and even which side is playing! The second edition is obvious from the red band on the upperright corner of the sleeve. The label on the vinyl, besides beingmarked CV02, has large A and B markings to easily tell betweenthe 10:00 and 15:00 sides. 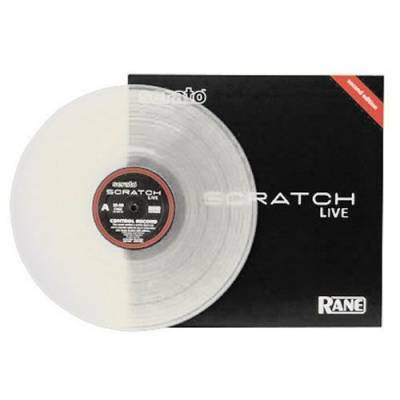 Scratch LIVE software version 1.2 andhigher is required to use the second edition vinyl.